It is not fried so you can enjoy it without any guilt and stay healthy without added calories. In a non stick pan add oil and let the pan get really hot. Now add all the vegetable, onions, carrot and bell pepper and cabbage. Stir with tongs in between till they turn golden in color. Now add soy sauce and hot sauce. Turn down the flame off and add lemon and let it cool. When the mixture has cooled down completely take one tsp of mixture add to the spring roll sheet. Now turn the spring roll sheet in desired shape and close down the corners by brushing with water. Heat the oven at 400 degrees for ten minutes. Bake one side till they turn golden brown on one side and turn to other side and spray oil on other side with sprinkle of sesame seeds on the top. 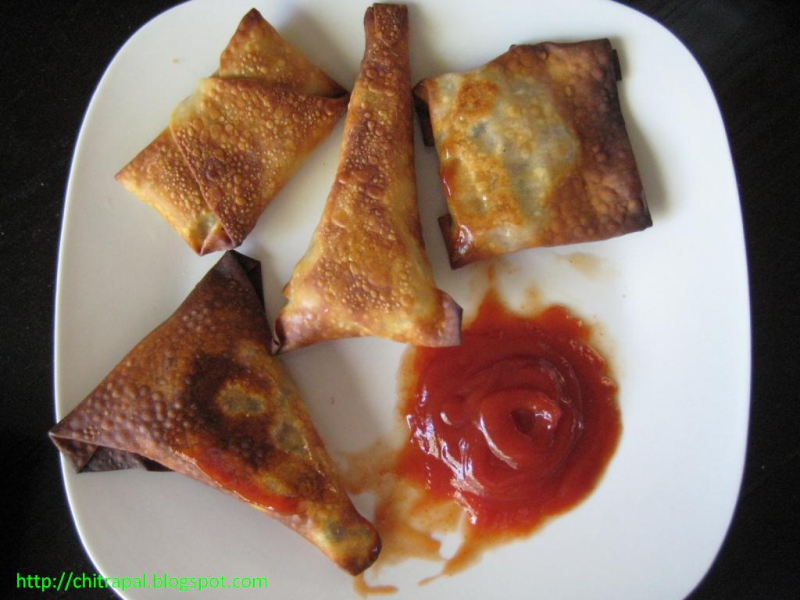 Serve with tomato sauce and enjoy spring rolls guilt free.